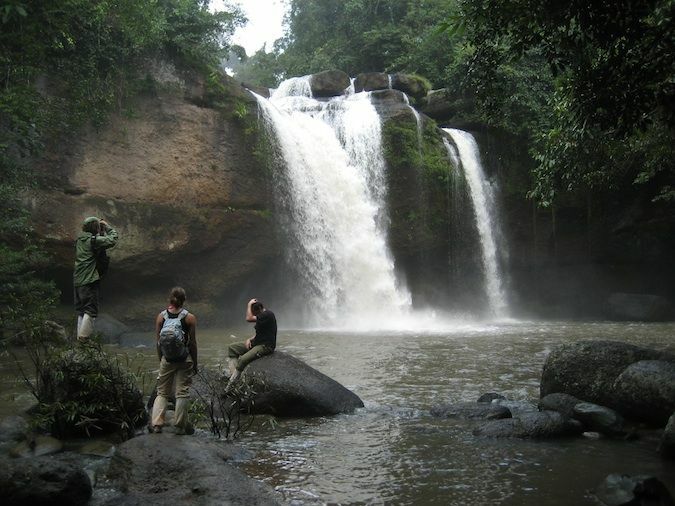 Khao Yai National Park is located about 2.5 hours north of Bangkok and is one of Thailand’s best national parks. Established in 1962, it was Thailand’s first national park and is now even a UNESCO World Heritage site. I’d always heard great things about the park while I lived in the country. Despite living in Thailand for several years, I never managed to get there. But, luckily a got to play tour guide to a friend from Boston on a recent visit and used that as my excuse to finally make it there. I can’t believe it took me so long. The park is truly amazing. 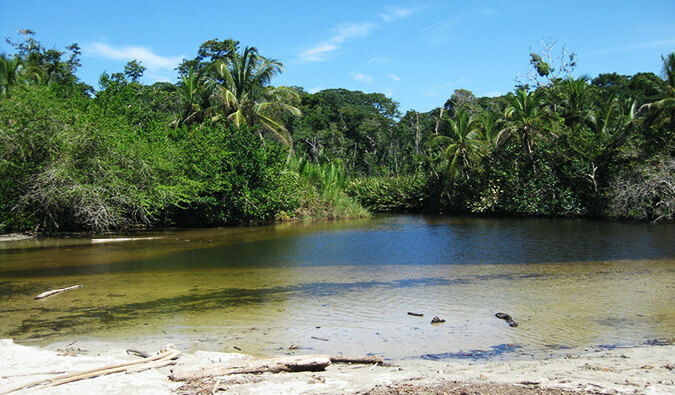 It’s filled with lush flora and fauna, tons of birds, waterfalls, beautiful hikes, a few wild elephants, and is empty of tourists. Arriving at our guesthouse in the afternoon, we were just in time to make a half-day tour. This tour brought you to a few caves and a natural spring. The first cave was home to over 2,000 bats and used to be a Buddhist monastery before the local community helped to build the monks a proper temple. However, the monks still come down here at night to meditate. I suspect the darkness and tranquility are good for meditation. Our guide seemed to be an expert in everything, showing us all the insects, talking about the life cycle of bats, and even giving us a soil lesson on the composition of the dirt and how bat guano can be used to make explosives. Usually, when you’re visiting Thailand, tour guides are just ushers, walking you from place to place, discussing very little, letting you take your photos, and then moving on. But this guide knew it all and was able to explain the history and zoology of not only this cave but the whole region. We spent the following day back in the park for a full day of hiking through the jungle and trying to spot wildlife. Our day began with bird watching, followed by a five-hour trek through the jungle. 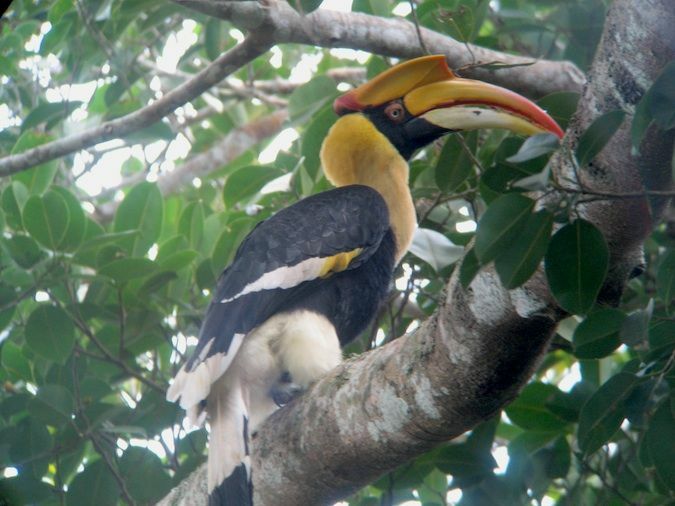 We spotted a lot of birds throughout the day, including the Great Hornbill, which has a wingspan over two meters wide. 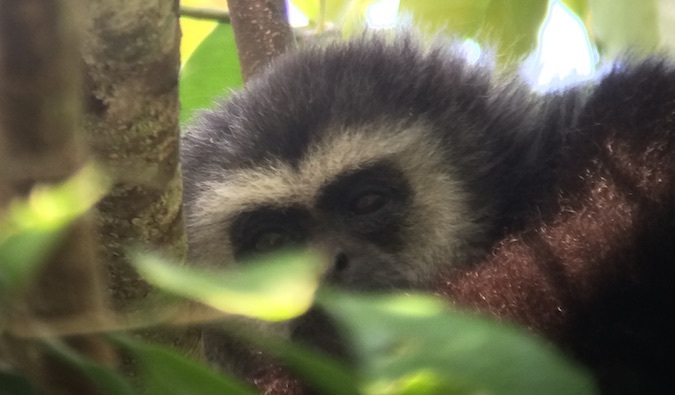 Monkeys hovered on the side of the road, and gibbons swung through the trees. As we made our way through the jungle, it became clear to me we were the only group on this trail, allowing us extra personal time with the animals. Usually, in northern Thailand, you see a lot of tour groups on the trails, so it was nice to finally get somewhere where we could be alone with nature. The monsoon season kicked in about halfway through our trek, pouring down an ocean of water on us as we made our way back to the car. The rain abated just as we hit the last few waterfalls, including the one Leonardo Di Caprio jumped off in the movie The Beach. Now, normally I never use Lonely Planet for accommodation recommendations. However, this time, I did (as did everyone else at the guest house). I must say that for once, Lonely Planet didn’t disappoint. Despite being in LP for years, the Greenleaf Guesthouse had not suffered in quality (and having been back since, I can say it’s still one of the best places to stay). Usually, press in a Lonely Planet book means higher prices and poorer quality. However, this place offered cheap accommodation, excellent food, reasonably priced tours, and very knowledgeable tour guides. If you ever go to Khao Yai, this place comes with my highest recommendation. I’d go back in a second. Despite being one of the biggest and most well-known parks in Thailand, there were few tourists there, making for an enjoyable and peaceful experience. With it being only half a day from Bangkok, you should really consider visiting Khao Yai before you head off to the tropical islands that make Thailand so famous. 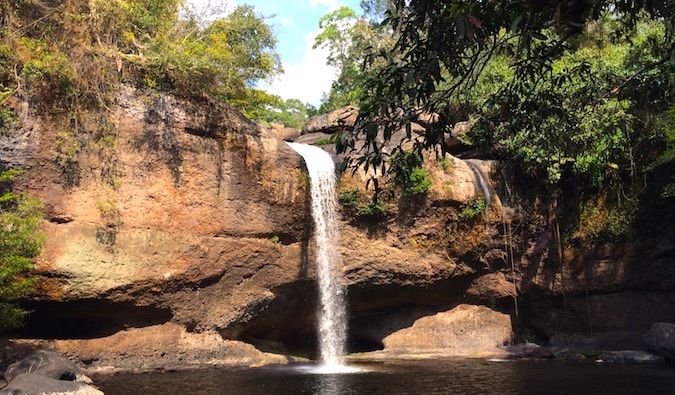 Haew Suwat Waterfall – This waterfall was made famous in The Beach and is definitely worth seeing (though unfortunately, you won’t be able to mimic Leo’s classic jump!). Pha Diew Die viewpoint – At 1,100m above sea level, this is probably the most breathtaking viewpoint in the park. You’ll get a sweeping view of the whole area and there are usually very few people around. Haew Narok Waterfall– This waterfall translates to “Sunken Hole of Hell” which is a very foreboding name for a gorgeous waterfall! It got its names from poachers who apparently heard the noise of its water crashing long before they saw the water and assumed it the crashing rumble was the gates of hell opening. Non Pak Chi Watchtower – This is a good place to stop to try and see some of the park’s wildlife, such as wild boars and elephants. Aim to be here for dawn or dusk for the best chances. See elephants (and other wild animals) – Best found at sunrise or sunset, there are actually over 400 elephants located in the park. You can find them near some of the salt licks around the park, though you have to be patient (and lucky!). 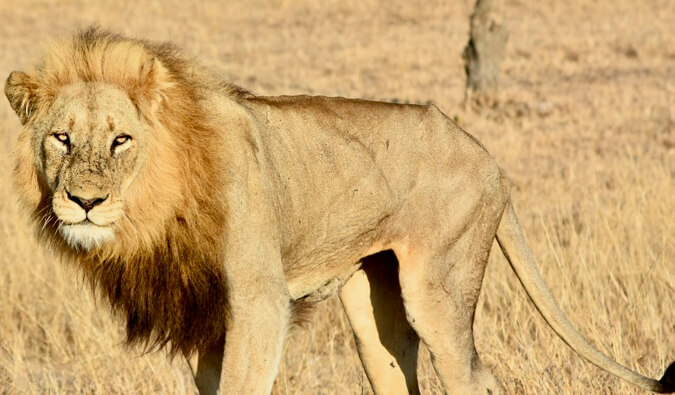 The best way to see them (and other animals) is to go on a night safari, as many animals prefer to be active during the cool night hours. Tours are organized by the park and cost 200 THB per vehicle (which usually has room for up to 8 people). 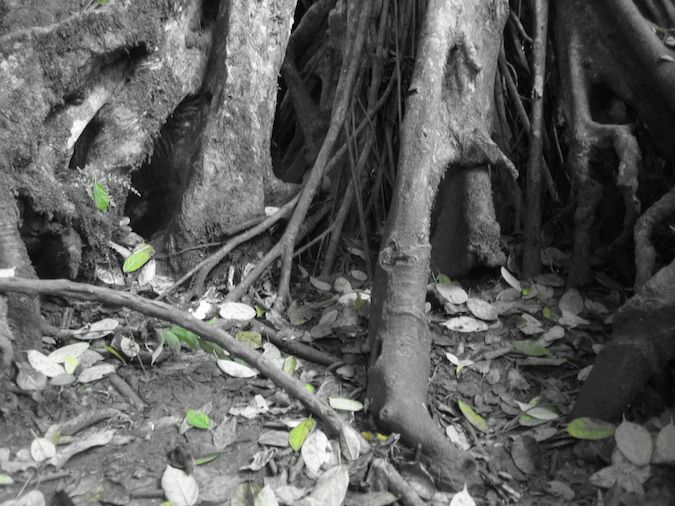 If you want to visit the park, you’ll need to head to Pak Chong — it’s the closest town. Buses leave frequently from Bangkok’s Mo Chit Bus Station and the journey takes 3-4 hours. Expect to pay around 150-200 THB for the bus. You can also take the train from Bangkok but the journey is much slower. Expect to pay at least 400 THB or the train (though it is rather scenic). All guesthouses will pick you up from the bus or train station if you let them know when you’re arriving. They can also arrange a tour of the park (full day, half day, or multi-day). 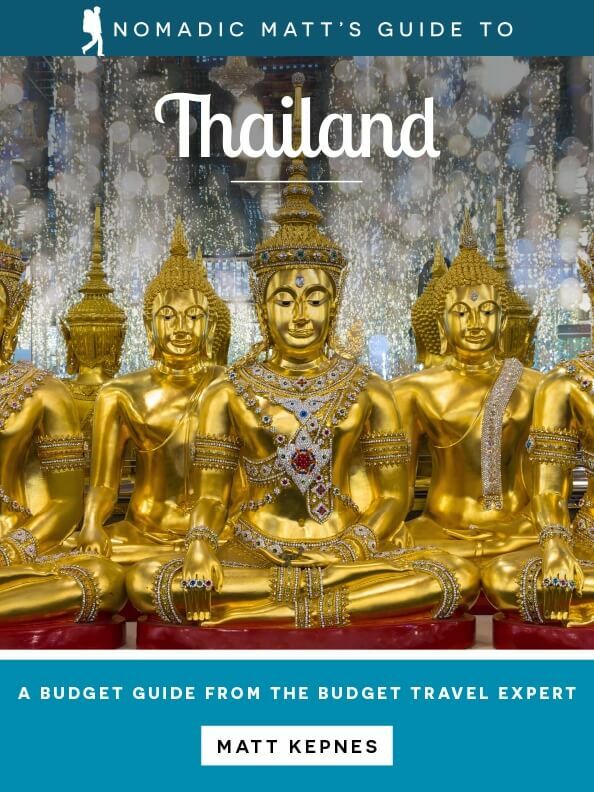 Prices begin at 500 THB per person for a half-day tour. Admission to the park itself is 400 THB for international visitors. You can hike many of the shorter trails yourself as well as camp in the park too. Regular Songthaew service runs from Pak Chong to the park entrance, though from there it is still 10km to get into the park. The ride from Pak Chong takes around 40 minutes and costs 40 THB. There are limited spots so book in advice. I wouldn’t hike one of the longer trails without a guide. Another great way to explore the park is by motorcycle. You can rent motorcycles nearby for 300 THB per day, which includes 2 helmets. You can buy fuel in the park at the guard station for around 40 THB per bottle. Car rentals are also available for closer to 2,000 THB per day. Conversely, if you want to visit yourself but would rather not drive, you can hitchhike around the park. It’s very easy and people are usually happy to shuttle you around. Greenleaf Guesthouse – This awesome hostel offers cheap accommodation and reasonably priced tours, and their guides really know their stuff. It’s one of the best hostels I’ve stayed at. Hello Hostel Pakchong – This recently-renovated hostel has a really chill vibe and even has it’s own little convenience store. It’s a laid back place and the owners are really helpful. Love the photo of the bats in the sky. Looks like a lovely place. The waterfall Leo DiCaprio jumped from in The Beach, is that the one pictured above? Lucky the leech didn’t attach itself to more delicate parts! I want to see monkeys! @erica: No, that’s a different waterfall. @lakshmi: that would have been a great photo! @laura: when you, we will see monkey’s…..matt can climb a tree and pretend if we don’t! @new: I took them at sunset. I think the video is bright because I’m taking it through a telescope so it magnified the light a bit. Sounds really good. Not expect natural park like this so close to Bangkok. Would try when I visit Bangkok next time. Quality of tour guides vary, but luckily my Bangkok guide and Chiangmai trekking guide were great. The Chiangmai guide was ok for English, but really knows about jungle, trekking, rafting etc. We recently went to Kao Yai and did the Greenleaf Guesthouse trip too – but we did the full day trip. It was a bit disappointing, there wasn’t much to see, unless you’re into bird watching, which took up the largest proportion of our time during the trip. Another participant of our trip did the half-day trip where you visit the bat caves the day before and was very enthusiastic about that trip too, but found the whole day trip – just like us – rather boring. So if you go there, I’d suggest start with the half-day trip, and then, only if you want to see more, do the whole day trip. Of course, if you’re into bird-watching, then the whole day trip will be fun for you. Sounds cool; thanks for the recommendation! What is the best way to get to this park from Bangkok? I went up to the Khao Yai National Park in January on the way back from Korat but just drove through and stopped at a few of the waterfalls. We did get to see a few of the elephant and monkeys but nothing like the hornbill in your photograph. I will take your recommendation of the guest house for my next visit and may be stay a couple of nights and take a guide as they obviously know the exact places to go. Do you have a website or phone number for greenhouse guesthouse? Is it the same as GreenLeaf guesthouse? I want to go here and to other national parks but am traveling solo & on a budget. Any tips on travel to Thai National Parks? We visited Greenleaf Guesthouse back in May, and they are still a fantastic way to see the park. I think we must have done exactly the same tour, the 2 million bats emptying out the cave at dusk was one of the most memorable experiences of our 4 months in Asia. Hi Matt, I love you’re work and I’ve be following many of your tips. However, I’m Extremely surprised by Greenleaf’s review. We had such a poor experience today, really incredible. The half day tour wasn’t very knowledgeable. The guide seemed quite bored and just repeating something he’s said a million time already. We’ve been traveling a lot and taking many tours already so I could be the reason we didn’t appreciate much. But even so the guide had no passion. At the end of the half day, he told us that we shouldn’t join for the next day tour… he was acting very rude. On top of it, the guesthouse is on the main road (the noise is not too bad at night though) and they had a thai live band until midnight just across the road which was extremely noisy. To conclude, they have a very responsive and nice online customer service but you don’t feel welcome at all in person. All places change. I’ll recheck them out! Thanks for the update!